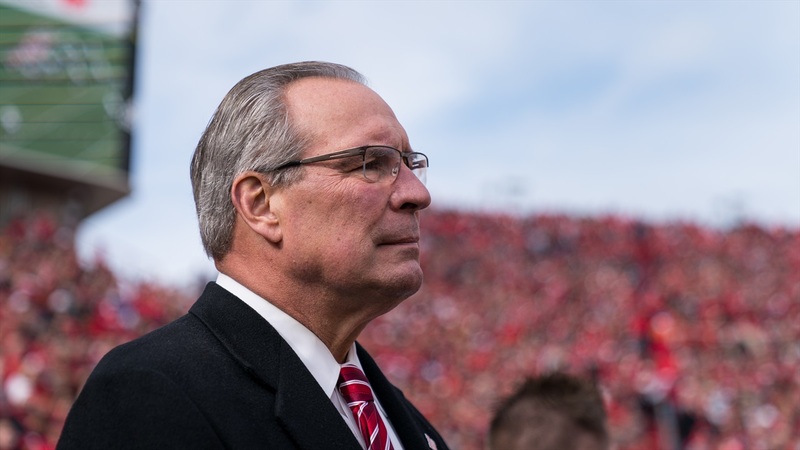 "You can feel throughout the state a great deal of energy, excitement," Nebraska Athletic Director Bill Moss said Thursday. "It's all coming to a head." What unfolds Saturday night as the Huskers welcome Akron to Memorial Stadium for Scott Frost's first game as head coach will be the culmination of eight months of positivity surrounding Nebraska football. The only problem? Husker fans, and Moos, will have to wait just a little bit longer on game day than the AD prefers. "I'm no fan of night games," Moos said. "It's a long day. That's a 14-hour day for the old AD because I'm an early riser anyway. That's the ranch kid in me. By the time that day's over it's almost midnight." The primetime kickoff does offer some returns when it comes to exposure, Moos noted. Frost's debut will be televised by Fox and a national audience will get a chance to see what will be a slightly different game-day experience at Memorial Stadium. The University announced Wednesday that the Tunnel Walk will feature some new lighting and video elements visible to those lining the team's path to the field under the North Stadium stands. Those may not be the only changes to Nebraska's famed entrance. "It really came from the football end," Moos said, "and I certainly bought into it. I think it kind of goes with our theme of honor the past, live the present, create the future. There will be pieces of the Tunnel Walk that are traditional and have been part of our history, and then there will be some things that might be more appealing to that 18-, 19-, 20-year-old player. I think it'll be a tasteful combination." That's what Moos expects, at least. He hasn't seen the updated Tunnel Walk, either. Nor does he know what music will accompany the new pregame presentation, but Moos did say he thinks it'll be "some of the old and some of the new, too, but that's only hearsay." That melding of old and new might be everywhere with Nebraska football this season. There's been no announcement of the now-annual alternate uniform for the Huskers, but there will be at least one this season Moos said. "The Nebraska football uniform is an icon. It's like Michigan, Alabama, Texas, USC and that'll be our standard uniform. But there will be a game, maybe even two, where we will go away from that with something that's probably a little more trendy in today's world. "I'm comfortable with it. You have a guy that was a national-champion quarterback here that wore that standard uniform, so he knows what it means and what it represents." The Huskers will wear an alternate uniform against Illinois in Lincoln on Nov. 10. >>If the College Football Playoff committee is looking for a new member, Moos is interested. "I really thought I wanted to be on that committee and was a little upset when I wasn't selected," Moos said. "I think [former USC AD] Pat Haden was that first year." That disappointment eventually gave way to relief when Moos saw the time commitment committee members had to deliver the top four teams each week. His son was also finishing up his high school football career at the time. "I wouldn't mind being on it now," Moos said. "Print that, please." >>The Big Ten unveiled conference schedules for 2022 through 2025 on Wednesday. Nebraska's slate includes four games against Michigan over that stretch –– two home, two away –– and is yet another instance of traditional football powers in the Big Ten getting paired up over multiple seasons. Moos has previously expressed some concern over that practice –– and did again on Thursday –– arguing that the Big Ten may be boosting its strength of schedule and appeal to television partners, but hurting the league's playoff chances as good teams "beat each other up." So why Michigan and Nebraska then? Luck of the draw. "We did a random drawing and this was done in Chicago at meetings this summer and you can see how it all played out. We do have Michigan for the next few years, that's who we drew. Wisconsin drew Ohio State." >>The national scheduling debate surrounds the varying number of conference games across the Power 5 conferences. The ACC and SEC play eight league games, the Big Ten, Pac-12 and Big 12 play nine. Don't look for Moos to advocate for fewer from the Big Ten. "I like nine conference games myself," he said. "This is a great conference. I believe the Big Ten is the toughest college football conference in the country top to bottom. The fans like it, and I think we have a nice setup as it is now with nine and then three nonconference games and a conference championship."